Sourdough bread makers have long known that the loaves they bake have a better flavour, crisper crust and a chewier interior than commercially produced breads, but one of the things I am most often asked about when I teach on sourdough bread making courses are the health benefits of long fermented bread. There are lots of claims about sourdough bread, some of them are true, some are urban myths, but the results of trials carried out in Canada have proven that a sourdough loaf has measurable health benefits when compared to both commercial white and whole-wheat loaves. Terry Graham a professor in human health and nutritional sciences at the University of Guelph, Ontario lead a team of researchers who studied four types of breads to determine which had the most positive health effects when it comes to carbohydrate metabolism, blood sugar and insulin levels. The results were impressive. The results of these studies are not new news. Some of the findings were first published in 2008, but Professor Graham has recently retired, and I was lucky enough to catch him and ask directly specifics about what the studies revealed about sourdough bread. Terry explained that they initially set out to compare the way different types of bread were digested and assimilated into the body. Their results suggest that the grains used, the way they were milled and how the bread was made all affect the properties of a loaf. More importantly for fans of sourdough bread, they discovered that the long fermentation involved in baking with natural yeasts resulted in a loaf that was digested more slowly and caused less of a spike in blood sugar levels when it was eaten. The research which took place in two studies over 7 years, focused on carbohydrate metabolism in humans, and when his work turned to investigating the way carbohydrates are digested and assimilated, he chose bread as a high carbohydrate food to use in his trials. Bread is, after all, a simple food eaten by millions of people every day. Well, maybe not so simple – “I then rapidly found out that bread is an extremely complex food, and its properties change not only with ingredients but how it’s made, how it’s baked, how it’s served” Terry explains. In an initial study, the research group chose four different breads to compare – white, whole wheat, whole wheat with barley and a white sourdough. Each member of a group of volunteers was given one of the breads for breakfast, then monitored to see how their blood sugar and insulin levels responded over the course of the next few hours. At the start of the research the team expected, as many of us would, that the whole wheat breads would show more health benefits than the white. In fact, the white bread and whole wheat breads showed very similar responses, an initial spike followed by declining levels. The white sourdough bread showed the least pronounced response, with both blood glucose and insulin increases significantly lower than those seen following a breakfast of non-sourdough bread. This is important because, from a health perspective, the aim is to keep blood sugar and insulin levels as close to normal as possible. The team also discovered that this response pattern was repeated when the volunteers were given lunch, not including bread, later in the day. Following their first study, the team looked at other hormonal responses and included other breads in their trials. The results consistently showed sourdough to be associated with more moderate blood sugar response. Whole grain sourdough bread was found to show a similar response to white, while a sprouted grain sourdough showed the most positive response. So why might sourdough breads show these health benefits? Once the results of these studies had been written up and published, Terry realised that fermented foods from a range of cultures have been associated with good health. This suggested that perhaps it was something to do with the fermentation process, sourdough or otherwise, that was important in promoting these responses. One possibility, suggested by Steve Ciu a food chemist of Agriculture Canada, is that the sourdough fermentation process was altering the structure of the starch in the bread. These changes mean that the starch would be digested and assimilated into the body more slowly, resulting in less pronounced responses in terms of blood glucose and insulin. The surprising finding from the first study that white and whole wheat breads showed similar responses is probably because the whole wheat bread used was made from very finely ground flour to produce a texture in the baked loaf that is popular in North America… and very similar to white bread. 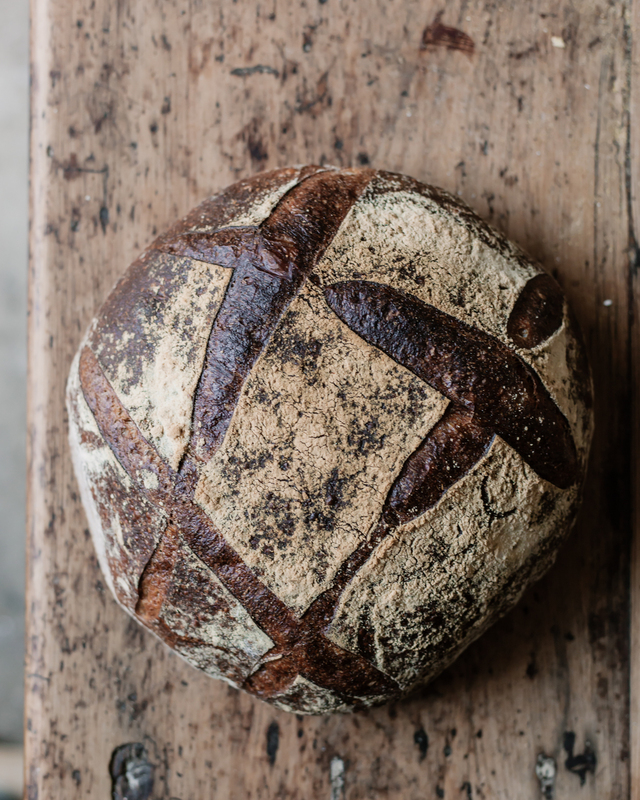 In real terms then, based on the findings of these studies, how much impact would switching to sourdough as a daily bread have on your health? “Well, I don’t think it would make a significant impact on the healthy individual who has a good lifestyle” says Terry, but goes on to speculate that for people at risk of or who have already been diagnosed with type 2 diabetes “could well benefit from having a sourdough bread rather than a normal yeast risen bread”. Share the post "Sourdough & blood sugar response." Thanks for this great article! Can you please clarify: does “Whole grain sourdough bread was found to show a similar response to white, while a sprouted grain sourdough showed the most positive response” mean the sprouted grain bread showed the most healthy response or the most insulin-positive (unhealthy) response? Thanks! Sprouted grain gave the bet result for keeping blood sugars stable… so it is good. I love the Rude health one .. it’s readily available online too, in a red pack. I would love to learn how to bake my own sourdough bread both the white sourdough as well as sprouted whole grain sourdough here in Texas. Don’t mind traveling to learn it. We have students here for all over the world. From Brazil, New Zealand, Hong Kong, Australia, America, Norway Dubai to name just a fe recent ones. We’d be delighted to accommodate you and we have a full list of accommodation and trains and transport to get here .. it’s very beautiful and easy to get to. Could you please provide the a link to the scientific papers which are mentionned here? Hi Joseph I will get these added. We are launching the research database in Autumn with all the papers in one searchable database .. in the mean time please email and I will send the links over to you. This is very interesting, and an encouragement to use sourdough bread, but we really need to know HOW MUCH difference there was in blood-sugar response there was with the sourdough bread vs. the regular bread if we’re to be able to judge how important this is. For example, a 10% reduction in blood-sugar response would be statistically significant, but probably not all that significant in dietary terms, whereas a 50% reduction would be much more significant in dietary terms.